It is beginning to feel a lot like Christmas. In the UK we have already seen some snow and in Australia, the weather could get up to the early 30s this month so it about time we start planning what to wear for Christmas parties. Even the Grinch would not think it is too early now, you probably have early celebrations with work colleagues and friends leading up to the big day with your family. If you are stuck for ideas or want to try something new keep reading to check out these stunning braid looks so you are ready to wow everyone. 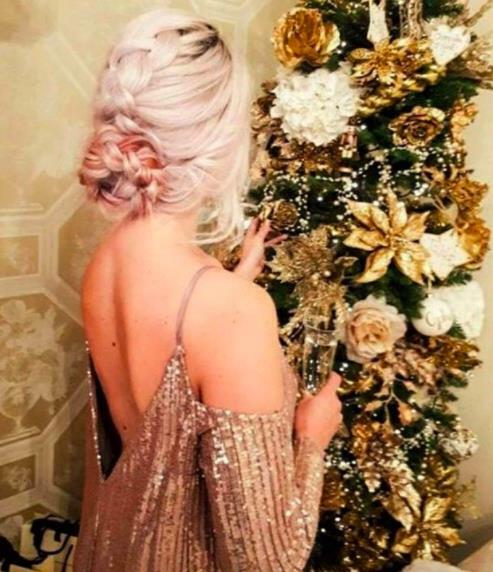 This style is amazing with multi-toned hair and is perfect for a Christmas do. Start by lightly teasing your roots and adding your hair extensions, particularly down the middle third of your head. Separate the centre third of your hair and start to form a dutch braid, don’t forget to leave strands either side of you face loose. As you move back with your braid add strands of hair to your braid not from the central third but make sure you do so loosely, they should look draped in. when you have gotten to the nape of your neck all excess strands should be added so just continue your braid to the end. 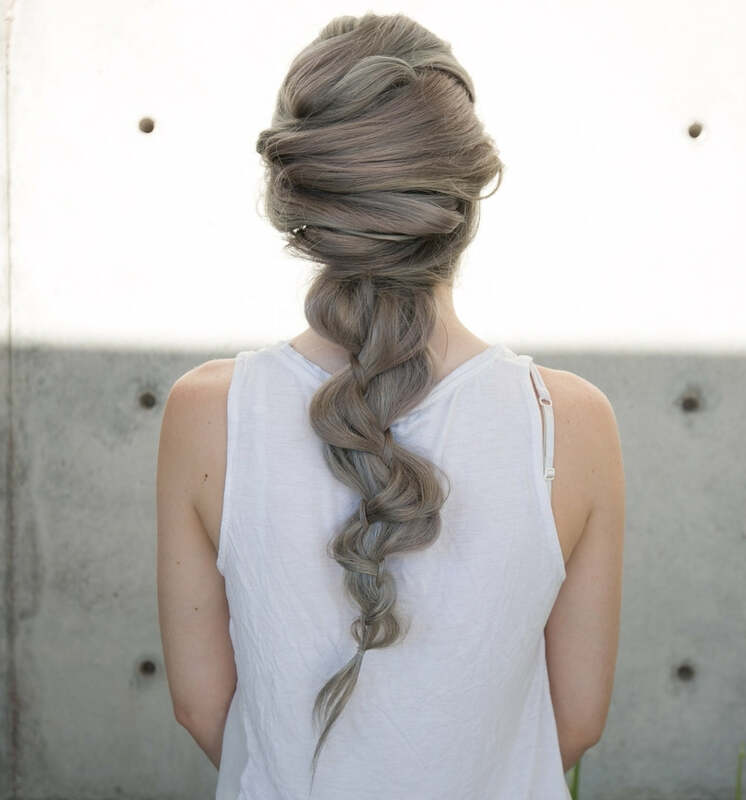 Pinch each section of the braid until it looks lovely and full. Now that your braid is complete is it time to turn the end into a rose bun. This is super easy simply create a spiral from the outside, in. the end of your braid will be in the centre of the spiral and pin this into place. I would use more pins than you think you need, particularly if you are planning on dancing. Spray your hair so it holds and you are ready to go! Create a shallow centre parting from your hairline to your crown. Now form a triangle from your temple to centre parting, create a loop halfway down the strand and pin it at the back of your head. Spray it to stay in place. Do the same on the other side draping your hair over the edge of your previous loop and create your new loop under and to the right of the first. Do this one more time on each side. You can add some hair extensions near the nape of your neck divide the hair you have left into three (two thick and one thin) and create a braid. Tug on the larger sections to make your braid picture perfect. Spray it all to hold and you are ready to go. This is perfect to wear with both a really fancy outfit and as the main attraction of a simple one. I love that these styles can be worn textured or sleek and sophisticated so you will be able to adjust them depending on your style of outfit.